Michelle Attias comes to The Barnett Center with over 10 years of professional experience, most recently in OSU’s East Asian Studies Center, where she worked as a program manager, designing and implementing a variety of East Asian events and programs targeting campus and beyond, managing fiscal processes, developing marketing materials, executing communications for the center, applying for new funding sources, and managing reporting processes for sponsored projects. Previously, she worked as an artist and art administrator and educator, both designing and implementing mural projects and teaching through the Greater Columbus Arts Council’s Children of the Future program. 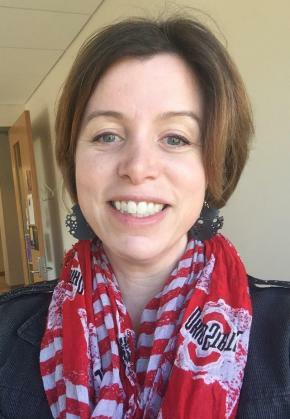 A life-long arts enthusiast and advocate, Attias holds an undergraduate degree in English and fine arts from Dickinson College, as well as a Masters in Human Resource Management from the Fisher College of Business at OSU. She can be reached at attias.1@osu.edu, and is located in AAEP’s offices on the 2nd floor of Sullivant Hall.